A plan for a new national park to protect the endangered Leadbeater's possum has been dealt a blow with revelations VicForests locked in millions of dollars worth of new logging contracts. State Labor ducked a proposal to create a Great Forest national park stretching from Kinglake to Mt Baw Baw and north-east up to Eildon in the recent state election, instead announcing a taskforce made up of environment groups, scientists, the union and the forestry industry. The decision to set up the taskforce to strike a "consensus" followed pressure during the campaign from the Construction, Forestry, Mining and and Energy Union, which had threatened to campaign against Labor on concerns that ending logging in the area would threaten Gippsland jobs. Environment Minister Lisa Neville earlier this year said she believed the park would be created this term, with a commitment to protect logging industry jobs. Conservations and scientists – including Sir David Attenborough – have long argued that the park is needed to protect the possum, which is believed to be perilously close to extinction. But VicForests' latest annual report, tabled in Parliament last week, suggests ending logging before the 2018 election could be difficult. The report shows VicForests negotiated various contracts to harvest and haul 900,000 cubic metres of wood a year for the next three or four years. It said the agreements – which could cost more than $50 million a year assuming current harvest and haulage costs – had the potential to be extended, "providing the greatest level of security that contractors have had since 2009". News of the new deals has left the state government struggling to explain how a national park might be created into the near future. A government spokeswoman said the annual report confirmed the finalisation of the timber allocation process that began in late 2012, under the previous government. But in a potentially controversial decision, Labor confirmed it would not financially back any new long-term timber deals until the taskforce has delivered its findings. "The Labor government has determined that we will not indemnify any new long-term timber sales agreements until the deliberations of the industry taskforce are completed and the government has received its recommendations," the spokeswoman said. 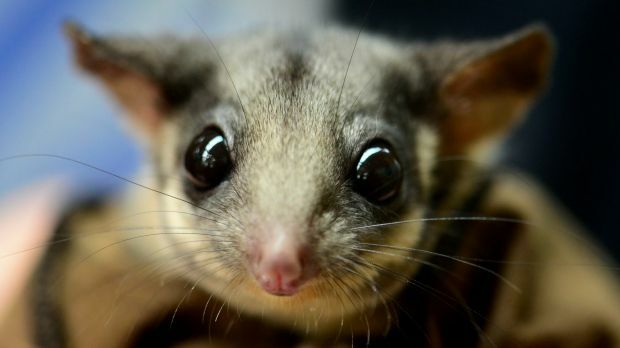 "The taskforce involves government, industry and science working together to reach common ground on the issues facing the industry, such as job protection, economic activity and protection of our unique native flora, fauna and threatened species such as the Leadbeater's possum." The annual report also showed VicForests returned a $4.7 million profit last financial year, the third in a row, with a dividend of $1.5 million expected to be paid to the state. VicForests chief executive Robert Green said the industry contributed hundreds of millions of dollars to the economy a year. "Our revenue from timber sales is up on last year and VicForests alone has injected more than $85 million into regional economies through contracts with local businesses and wages," Mr Green said. The report also confirmed VicForests started exporting low-grade logs, with approximately 3600 cubic tonnes sent overseas, most likely to China.